On the 50th anniversary of India’s 22-day war with Pakistan, we examine why India agreed to end the war when it was close to a decisive victory. In May 1964, Indian Defence Minister Yashwantrao Chavan made a visit to the Pentagon, the HQ of the American defence department. Chavan, who was trying to rapidly modernise the Indian military, requested the Americans to sell India the F-104 Starfighter – the most advanced jet fighter of that era. Although the US had supplied the F-104 and the F-86 Sabres in large numbers – virtually free of cost to Pakistan, India’s request was rebuffed in an extremely crude manner. McNamara suggested that until India disbanded that fleet, it was no use acquiring any sophisticated aircraft.What the American secretary said was offensive – and true. The 1965 War remains memorable for two things. Secondly, India’s leadership – as it has done consistently over the past 2500 years – surrendered on the negotiating table what the soldiers won on the battlefield. Lal Bahadur Shastri, Ayub khan and Alexei Kosygin. The Tashkent Declaration of 1966. The US, which was embroiled in a bloody war of its own in Vietnam, acted mostly through the United Nations. However, the defining western aim was to see their satellite Pakistan get through the war without getting battered. The USSR, which was following the events with deep interest, maintained its traditional stand that Kashmir was part of India.Pradhan writes Moscow accepted the disturbances in Kashmir had been created by infiltrators from Pakistan. Russia also backed India at the United Nations. K. Vijaykrishnan writes in ‘The Soviet Union and the India-Pakistan War, 1965’ that “Support was available for India on some important technical points and objections India had raised,” he says. Shastri was a man of steel during war but became soft in peace, an old Indian malaise. Russia supported the Indian position that the Security Council should only deal with “questions directly connected with the settlement of the armed conflict” and not drag in the Kashmir issue. Fending off China was a trickier affair. Russia did not want an open confrontation with Beijing, but Moscow decided it would not remain a passive spectator if India had to battle on two fronts. According to Vijaykrishnan, during the thick of the conflict, India received a reassuring message from Russian Premier Alexei Kosygin indicating support in the event of a Chinese attack. Sisir Gupta writes in ‘India and the International System’ that India was aware Russia would never like to see India humbled or weakened. A strong and friendly India occupying a pre-eminent position in South Asia was very much a Soviet foreign policy interest. Notwithstanding the fluctuations in the Soviet attitude and the zig-zag nature of the course it pursued, there was throughout a broad assumption underlying Soviet policies towards South Asia, that India was the key factor in the region and that any policy which created distrust and dissension between the two countries was to be avoided. Mao Tse Tung with Ayub Khan. China got the message and backed off despite Pakistani appeals for help. Chinese strongman Mao Tse-Tung was reported to have told Ayub Khan that “if there is a nuclear war, it is Peking and not Rawalpindi that will be the target”, writes G.W. Chaudhury in ‘India, Pakistan, Bangladesh and the Major Powers: Politics of a Divided Subcontinent’. With the US disinterested in the conflict and the UK showing its true anti-India and pro-Pakistan colours, it was left to Russia to play honest broker. It was after some initial hesitation that both India and Pakistan accepted the Russian offer. Ayub Khan later said that Pakistan went to Tashkent as it did not want to risk a veto by Moscow. There was another reason for Pakistan’s eagerness for talks. According to Pradhan, “The continued presence of Indian troops on the east side of the Ichhogil canal, facing Lahore city, was hurting Pakistan’s pride.” The heat was clearly on Islamabad. Before leaving for Tashkent, Shastri – who was hero-worshiped by Indian soldiers – had promised his victorious troops that he would not return the land captured from the enemy after so many sacrifices. But after six days of talks, Shastri proved once again that Indians are bad negotiators. He gave away everything. Was Shastri feeling the pressure from the international community? Most likely not, but perhaps he felt – like his successor Indira Gandhi after the 1971 war – that showing leniency towards Pakistan would buy its goodwill. Shastri was a man of steel during war but became soft in peace, an old Indian malaise. Veteran journalist Kuldip Nayyar writes that in 1962 when China attacked India, the Shah of Iran sent Nehru a copy of a letter he had written to Ayub Khan, suggesting that he send his soldiers to fight alongside Indian forces against the “red menace”. “At the end of hostilities, Shastri recalled the Shah’s letter and said that had the Pakistani soldiers fought alongside us and ‘shed their blood with Indian soldiers’, it would have been difficult to say ‘No’ to Pakistan even if it had asked for Kashmir (Agar wo Kashmir bhi mangte to na karna mushkil hota). That is indeed correct. C.P. Srivastava, who was private secretary to the Prime Minister, writes in his memoirs ‘Lal Bahadur Shastri’ that Shastri believed “it would be easier to make up with Pakistan, the people of which were of the same stock as Indians, than to make up with China“. Clearly, Shastri, like many Indians, failed to see the incompatibility of the Judaic religions with India’s dharmic faiths. Like Nehru before him and a multitude of leaders after, Shastri believed that Pakistan wants peace. But Pakistan does not want peace. It only wants – rather vainly hopes – to re-establish Muslim rule over the Indian subcontinent. Chanakya wrote 2300 years ago that the antidote to poison is poison, not nectar. Yet Indian leaders waste time and effort trying to appease Pakistan. It is the equivalent of trying to stop a scorpion from stinging. If you were Shastri, you would dread having to face the Indian soldier back home. Hundreds of them had died while capturing the strategic Haji Pir pass, which if India had kept, would have forever nullified Pakistan’s advantage in Kashmir. On the night of 10 January 1966, the diminutive Prime Minister but a giant among men died of a heart attack. It was his fourth cardiac seizure and was likely triggered by his anxiety at having to face an irate public and having to look into the eyes of his jawans – soldiers – whose trust he had belied. There have been all sorts of conspiracy theories but the reality is that none of the major countries benefitted from his death. Russia had scored a spectacular diplomatic coup, America fully supported the Tashkent Agreement, and Pakistan was happy to get its land back. That the Indian Prime Minister died of a heart attack comes from a most unlikely source. Shortly after Mikhail Gorbachev’s liberalisation policies in 1991, Soviet Land magazine in India published an account by an ex-KGB officer. According to the former intelligence agent, the KGB was spying on both the Indian and Pakistani delegations in order to find out how much each country was willing to yield during the negotiations. When Shastri started getting a seizure, the KGB was listening but decided not to alert his aides because that would give away their game and lead to a diplomatic showdown with India. Having dissected what transpired at the negotiating table, we need to discuss the prelude to Tashkent. Although Pakistan was on the verge of being trounced – unlike in 1971 and 1999 when it really got hammered – India generously agreed to a ceasefire after repeated pleas from the major powers. So why did India stop fighting when it had Pakistan reeling? Why did Chavan and Shastri, who swatted away western pressure and gave a free hand to the Indian military, cave in? The problem was Army Chief Jayanto Nath Chaudhuri. 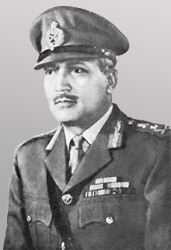 The Kolkata-born general came from an affluent background and had become army chief mostly on the back of family connections and pure luck. He was elevated following the resignation of Army Chief Pran Nath Thapar. 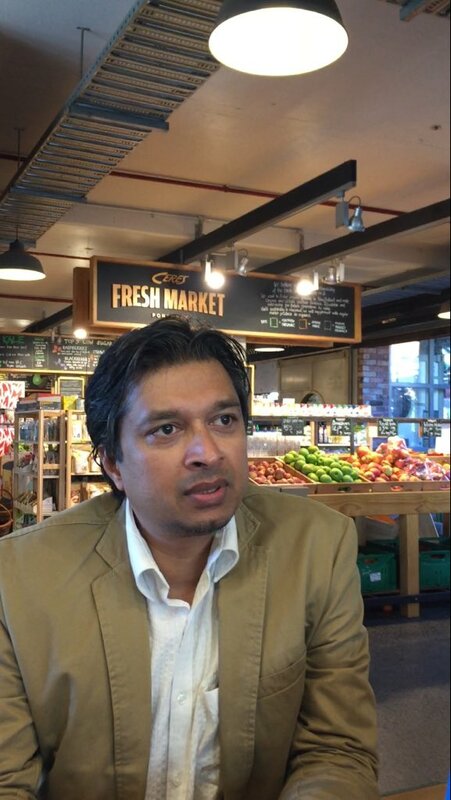 Chaudhuri’s mentors were the Sandhurst-educated British generals – who had utterly failed before the Germans and Japanese during World War II – and predictably he also lacked war-fighting qualities. “He was so good on paper that Chavan often wondered how good he would be in warfare,”writes Pradhan. Chavan writes in his war diary that Chaudhuri would frequently lapse into depression. Each time the Indian army suffered a setback, the general would walk into the Defence Minister’s room, and Chavan had to give him a pep talk. In contrast, Pakistan had expended 80 per cent of its ammo. In fact, when the Pakistan Army attacked in the Khem Kharan sector, Chaudhuri ordered the Army Commander Harbaksh Singh to withdraw to a safer position. The commander refused, and what followed was the Battle of Assal Uttar, the greatest tank battle since Kursk in 1943. The Indian counter attack on the night of 10 September was so ferocious that by the morning they had knocked out 70 Pakistani tanks. But what the Battle of Assal Uttar will be memorable for are the 25 enemy tanks found abandoned with their engines running and wireless sets on.It was the perfect metaphor for the plight of the Pakistan Army. “In the early stages of the Indian counter-offensive, Lahore was evacuated to some extent and Indian permission had to be sought by foreign planes to land at Lahore airport.” There could be no better indication of who was in control. According to veteran Pakistani journalist and commentator Najam Sethi, 1965 was a clear defeat for Pakistan. He recalls when the Indian Army reached the outskirts of Lahore, the BBC announced that India’s frontline troops (of 3 Jat) had entered the Jinnah Gardens and were raising toasts at the gymkhana. In reality, the rampaging Indian Army had reached the outskirts of Lahore but due to lack of intelligence about enemy troops,they did not capture the city. Sethi says the Indians thought it unbelievable that Pakistan’s second largest city would be left undefended and that it was perhaps a trap. Indian tanks pulled back just long enough for the Pakistan Army to rush in and defend Lahore. Sethicites this when writer and journalist Tariq Ali asked Bhutto who started the war. It was Bhutto as Foreign Minister who was primarily responsible for Ayub Khan’s decision to make a grab for Kashmir. He admitted it was Pakistan that had initiated the conflict. Bhutto reckoned it was a win-win situation as far as he was concerned. If Pakistan had won, Bhutto – as one of the architects of Operation Gibralter – would be hailed as a hero. And if Pakistan lost, which was what happened, Ayub Khan would resign, paving the way for Bhutto to become the head of state.The Pakistan Army never forgave Bhutto for his arrogance and 14 years later executed him after a sham trail. For Pakistan, the war was an unqualified disaster because the cost of replacing its huge war losses – including more than 250 American tanks – placed a huge burden on its economy. It made the civilian leadership extremely unpopular, leading to the army seizing power, which sent Pakistan plunging towards anarchy. From India’s point of view, 1965 was the year of resurgence in national pride which had hit rock bottom after the 1962 war with China. India embarked upon a massive rearmament programme, acquiring high-tech MiG-21 and Sukhoi Su-7 jets, ground defence radars, air-to-air missiles, anti-ship missiles and warships among others from Russia. The shortcomings of the IAF and Indian Army were overcome by frequent war games and exercises, resulting in building up an excellent war machine in just six years’ time. When war came again in 1971, India was ready to finish the unfinished business of 1965.